Did you know that area rug cleaning prevents dust mites and the accumulation of sand, soil and other debris carried onto your rug from outdoors? Area rugs are decorative pieces of furniture which add character to our homes so it is imperative that they are cleaned and cared for with the utmost precision. 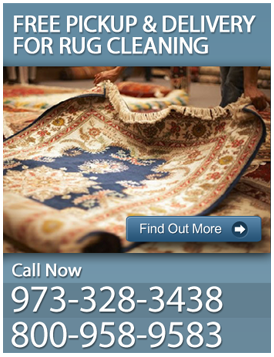 Rug cleaning is a specialty job as all rugs are not made with the same fibers, dyes and piles. That is why is it important you call ACE Carpet Cleaners for your rug cleaning in Dover, NJ needs. 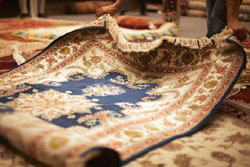 Ace Carpet Cleaners' technicians inspect the fabrics of all rugs for fading, discoloration, stains, wear and any damage. Oriental, Persian, Wool and Handmade made rugs are generally more sensitive than machine made rugs, so our technicians thoroughly inspect your area rug to determine the most appropriate area rug cleaning in Dover, NJ procedure. …and many more. Is your rug overdue for a thorough cleaning? Do you want to learn more about our services? Contact ACE Carpet Cleaning today for a free estimate and more information on area rug cleaning in Dover, NJ at 973-328-3438.